The rather amusing cover of this month’s JEB caught my eye; I am always excited to find out about the outlandish and creative methods that scientists dream up in order to test their ideas. Yep, that’s a jumping spider holding a styrofoam ball, tethered to the ceiling. So what the heck could possibly be going on here? The cover shot belongs to this paper. The researchers wanted to get a better handle on the contributions of specific jumping spider eye sets to the animal’s overall visual perception and behavior. Like many arachnids, jumping spiders have eight corneal eyes. Two sets of these eyes are forward facing; the anterior median (AM) and anterior lateral (AL) eyes (see image below). The large set of AM eyes are extremely acute, boasting the highest known resolution among the arthropods. However, they have an extremely narrow field of view since their retina is organized into a thin strip, not unlike the ribbon retina of larval diving beetles. The AL eyes, on the other hand, have a much larger, overlapping field of view and are very good at detecting movement. When the spider detects something with the AL eyes, it reorients its body to bring the high-resolution AM eyes to bear on the target. When jumping spiders are active they can be seen constantly preforming these reorienting body movements, endowing them with a great deal of inquisitive charm and personality (adorable videos). Now, back to the recently published study. 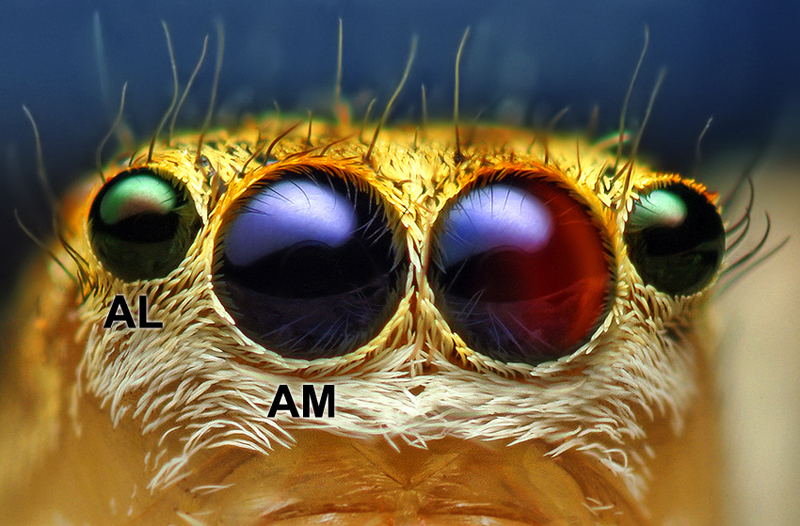 The researchers wanted to assess the importance of the AL eyes in the orientation response of jumping spiders. They used an opaque silicone paint to block out all the animal’s eyes besides the two AL eyes. They then tethered the jumping spiders from above using a piece of cork and beeswax. Finally they ‘handed’ the spiders a gridded polystyrene sphere (which they readily accepted), and positioned them in front of computer LCD monitors. Varying dot stimuli were displayed on the monitors, and the orientation response of the spiders to these stimuli were easily recorded by observing the underfoot movements of the polystyrene sphere. The researchers found that the jumping spider’s AL eyes are crucial to orientation responses, and therefore extremely important to the spider’s visual ecology. In fact, the spiders in this study demonstrated complete hunting behaviors using only the AL eyes. In addition, the researchers noted that increased hunger yielded stronger predatory response in the jumping spiders. Finally, they observed that overall, females showed a greater orientation response to stimuli than males. The researchers suggest that this is due to visual dimorphism, possibly related to the female’s need to carefully scrutinize the courting displays preformed by males. So, that’s why the cover of JEB is a photo of a hanging jumping spider holding a polystyrene ball. However, the best part of this outlandish-seeming experiment is that the tests were non-destructive. The paint covering the eyes, and the tether attached to the back, could be removed without harming the jumping spiders. They were, unfortunately, eventually forced to give up their toy ball. Go look at more of Thomas Shahan’s unbelievable photography, here. New research published in the Journal of Experimental Biology sheds light onto visual stimuli processing in arthropods. Researchers (Avargues-Weber et al., 2010) have shown that honeybees, Apis mellifera, are capable of complex visual processing and learning tasks that are commonly reserved for primates. With a small fraction of mammalian neural complexity, honeybees are capable of discriminating face-like visual stimuli; both between face-like and non-face-like stimuli and between variations of face like stimuli. That is, the honeybees are capable of visually discriminating and remembering one human face from another. Of course, there is no ecological reasoning for honeybees to discriminate human faces, but the behavior is a clue about the bee’s underlying visual processing capacities. This research tells us that honeybees are able to perceive and learn, not just the individual components of a visual stimulus, but the interrelationships between them. This is the first demonstrated instance of configural processing in an arthropod. Members of this research team first suggested that bees were capable of discriminating human faces in 2005. However, their work was criticized because it did not control for low-level stimuli (individual cues, center of gravity, symmetry, spacial frequency, and background cues) in the faces. That is, the researchers did not clearly show that the bees were actually carrying out configural processing; perceiving the interrelationships of multiple facial components processed together. In their new paper, the researchers preformed a variety of behavioral experiments to control for low-level visual cues. They primarily used a Y-maze chamber with a choice of two visual stimuli at the end of the two branches. The bees were trained to associate a sugar reward with one of the stimuli. Afterwords, in the absence of a reward, the researchers recorded the percentage of correct choices by the bees. First, the researchers showed that the bees could distinguish face-like and non-face-like arrangements of dashes and dots. Furthermore, they confirmed that the bees were discriminating based on the combined relationship of the eyes, nose, and mouth components of the face-like arrangements; and not just the orientation of individual components. A series of additional controls showed that the bees were not using symmetry, center of gravity, or spatial frequency cues to distinguish the stimuli. Finally, the researchers showed that the honeybees could also distinguish photos of human faces. Some of the choices that the honeybees were able to distinguish. This research concludes that honeybees are capable of high-level cue integration and configural visual processing. Such a capacity in honeybees is likely used for navigation and identifying flowers. 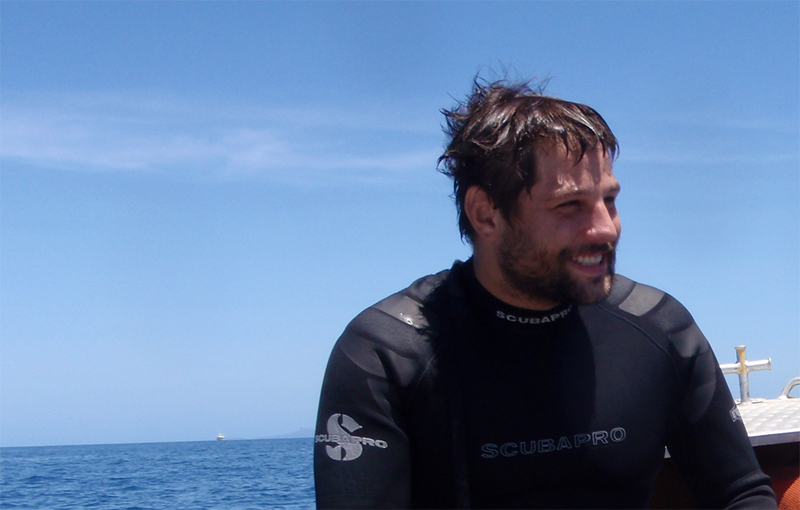 The neurobiology responsible for configural visual processing is only partially understood in humans, and completely undescribed in arthropods. By working out this processing system in comparatively simple insect brains, researchers can hope to eventually apply this finding to synthetic facial recognition systems. Dyer, A.G., Neumeyer, C. & Chittka, L., 2005. 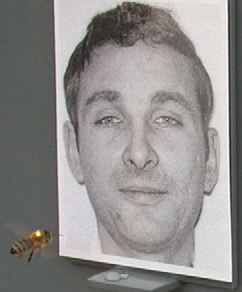 Honeybee (Apis mellifera) vision can discriminate between and recognise images of human faces. J Exp Biol, 208(24), 4709-4714.